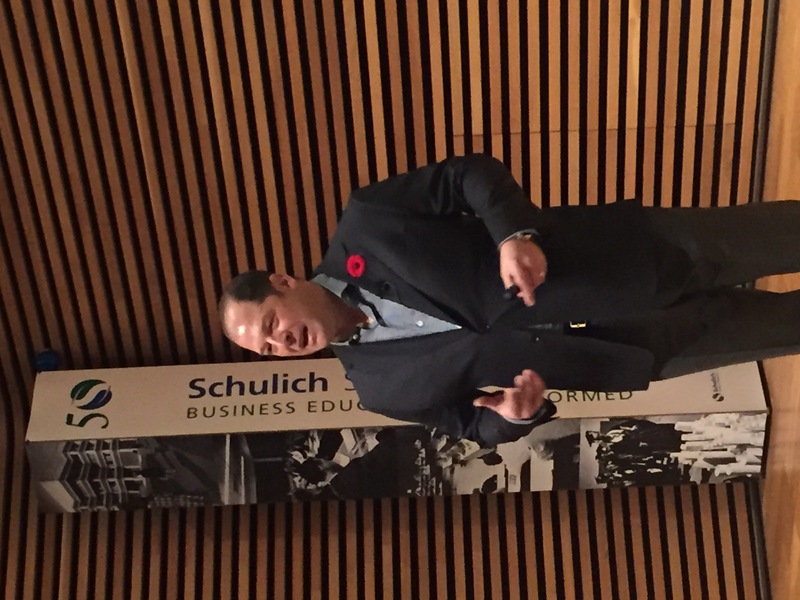 Every year, the Graduate Business Council (GBC) at the Schulich School of Business holds a conference to bring together MBA students and alumni, who share their knowledge and experience to guide and inspire the future grads. Last week, our CEO Adam Froman was invited to be the keynote speaker at Insights 2016, the GBC’s 10th Annual Conference, which focused on the theme Wisdom Imparted, Knowledge Acquired. With the constantly changing business landscape, the conference aims to provide students with access to speakers who will let them know how to best prepare themselves to get into their respective industries and how to navigate the industry challenges that lie ahead. During his presentation, Adam shared his perspective on the current digital economy and talked about how the market has changed since he founded Delvinia in 1998. 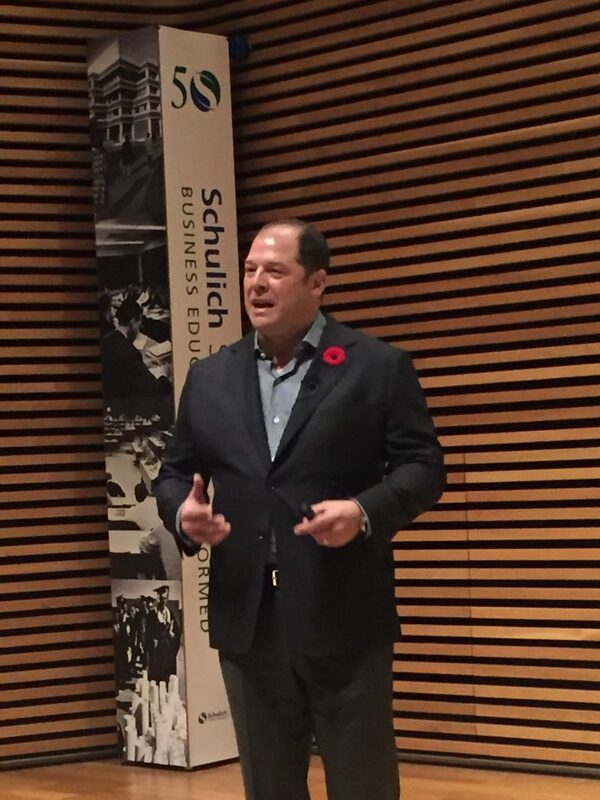 He also shared his thoughts on the opportunities for MBAs, particularly around innovation and commercialization. For more about Adam’s experience in growing a business and being an entrepreneur in Canada, download his eBook Delve In, Dig Deep: An Entrepreneurial Journey.